How will AR impact on Digital Marketing trends In Gloucestershire? Digital marketing trends change year on year and 2018 looks set to be the year AR (Augmented reality) really explodes onto the digital marketing scene. Its been a trend thats been talked about for several years but there are now some clear statistics emerging that are shocking some digital marketing experts in the sector. As mentioned above, the industry has experienced massive surges in popularity and investment. In 2020, the number of AR users is expected to reach a staggering one billion.Interestingly its also claimed that with the technology heavily involved in AR theres a lot of money to be made from target driven campaigns. For brands that rely heavily on using E commerce as a means of selling goods directly to their customers AR is now considered a innovative way to interact with potential customers. As expected some companies have already jumped on the AR bandwagon and began to invest heavily in new technology to ensure they can compete with rivals. Ikea launched the Ikea Place app which enabled customers to place Ikea products in their homes. 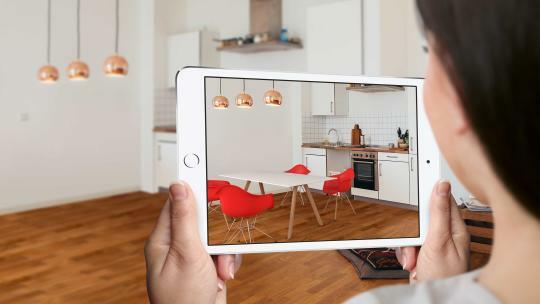 This app was so successful that Ikea then launched an AR app designed to enable customers to build their flat pack furniture. Its not just the flat pack furniture market that has seen trends for AR customer interactions rise, Beauty brand Estée Lauder utilised the services of a virtual chatbot on facebook messenger to enable customers to virtually 'try on' their make up products. As a savvy Gloucestershire based digital marketing company we're keen to explore all potential avenues for our customers to launch new online brand awareness campaigns so will be closely monitoring the AR market to be one step ahead of our digital marketing rivals in 2018.